Neil Solarz counsels his clients on estate planning, wealth transfer and trust and probate administration. Applying over 30 years of experience and an empathetic, caring approach, Neil focuses on getting to know his clients, their families, business dealings and concerns. His clients appreciate this effort, as it helps Neil drive consensus among family members during the planning phases and reduces the emotional stress common to trust and probate administration. In addition to being certified in Estate Planning, Trust and Probate Law by the California Board of Legal Specialization, Neil has significant experience in business transactions. As a result, business owners commonly seek Neil’s advice regarding business succession and wealth planning strategies. Neil finds that his knowledge of business transactions combined with his specialization in estate planning and trust administration generates creative and effective solutions for his clients. 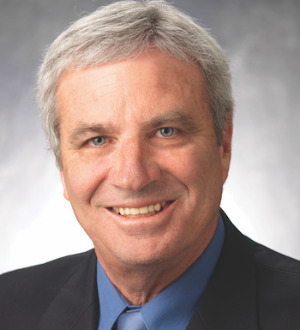 For over 10 years, Neil has taught Estate and Gift Taxation and Estate Planning at UCLA Extension. He also is a frequent lecturer on a wide range of topics in Estate Planning and Trust Administration. He has been a speaker for the Continuing Education of the Bar, National Business Institute and the USC Probate/Trust Conference, among others. Not only does Neil enjoy sharing knowledge as an instructor, it keeps him at the forefront of recent developments and cutting edge planning options. Neil has earned great respect from both clients and peers, as reflected by the highest rating, “AV® Preeminent™ 5.0 / 5.0,” by Martindale-Hubbell and having been named a "Southern California Super Lawyer" by Super Lawyers® each year since 2004. Additionally, Neil has been selected for inclusion in The Best Lawyers in America®2013-2017. He has received the additional distinction of being included in the "Top 100 Southern California Super Lawyers" by Super Lawyers® from 2009-2011, and 2015-2017.